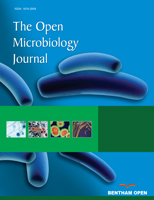 The Gp07 protein of aureophage Phi11 exhibits growth inhibitory effects when overexpressed in E. coli .The protein harbors two domains- an amino terminal Bro-like domain and a carboxy terminal Ant superfamily like KilA domain, of which the KilA domain retains the growth inhibitory effect of Gp07. We studied the effects exerted by the overexpression of Gp07 and its separate domains upon the growth rate as well as the morphology of the E. coli cells. Additionally, we generated a mutant of Gp07 (designated as ΔGp07) by deleting the first eleven amino acid residues from the amino-terminal region of Gp07, and studied its growth inhibitory effects upon E. coli. Our results indicate that Gp07, ΔGp07 as well as the Carboxy-terminal region of Gp07 upon overexpression, retards the growth rate of the E. coli cells and also induces filamentation in the cells. Surprisingly, our data clearly suggests that the growth inhibition and filamentation induced by the the amino-terminal domain of Gp07 is temporal in nature. The carboxy-terminal of domain of gp07 is essential for its activity. Keywords: Filamentation, E. coli, Drug-resistant, Therapeutic strategies, Bacteriophage, Host transcription. © 2018 Das et al.